Our gold triple toggle switch is the perfect combination of chic and retro. Chic being the brushed brass, gold effect, plate and the retro being the solid metal toggles. It’s not too bling though, the gold plate is more satin than highly polished. Add an opulent accent to your industrial interior these designer light switches. We just love a bit of glam mixed up in an undone, rustic interior. You can’t beat contrast in styles and textures for adding interest to your spaces. What better way to turn all your lights on and off. 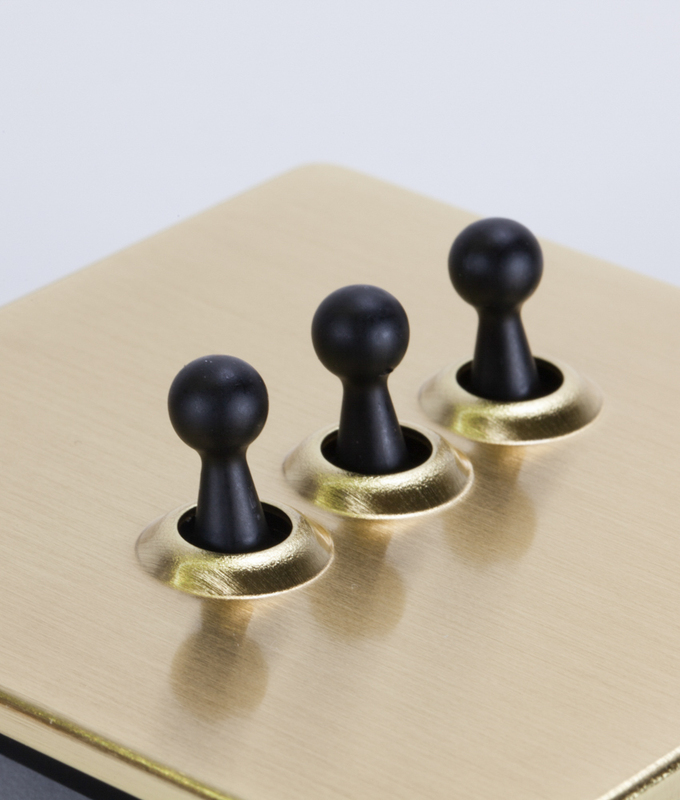 Our gold triple toggle switch features a gold satin finished back plate and retro metal toggles. 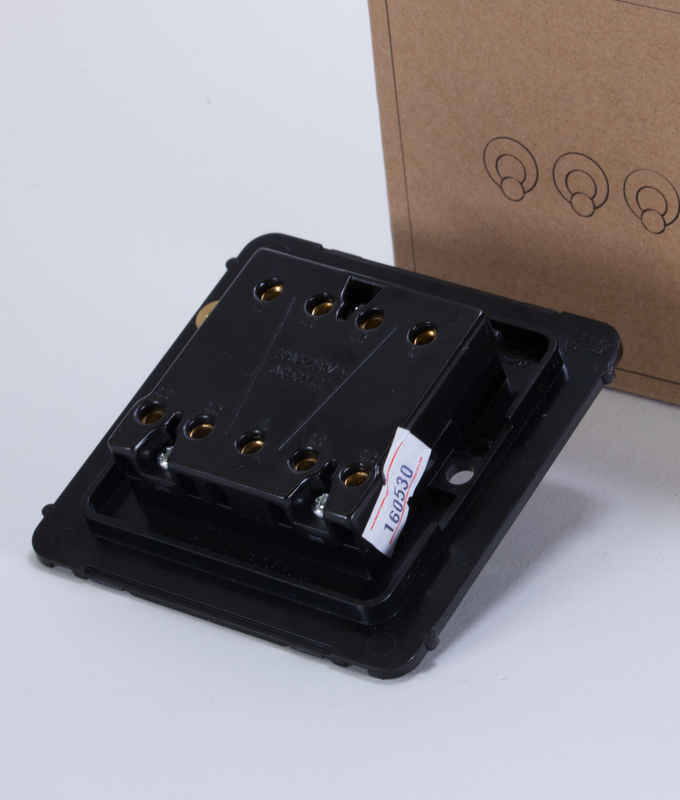 Its fittings are completely concealed so you get a tidy finish without unsightly screw heads, and it’s LED compatible. A winning combination in anyone’s book. We love this sumptuous gold triple toggle switch for adding a bit of luxe to an industrial style interior. Gold adds a luxurious vibe to your interiors and the quirky toggles elevate this switch to new heights. We just love the sophisticated gold with the retro toggles. Lovely.